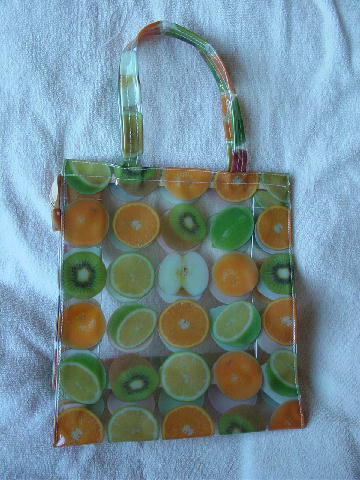 This clear purse has a design of rows of fruit (oranges, limes, kiwis, and apples) on all sides, including the bottom and the two handles. 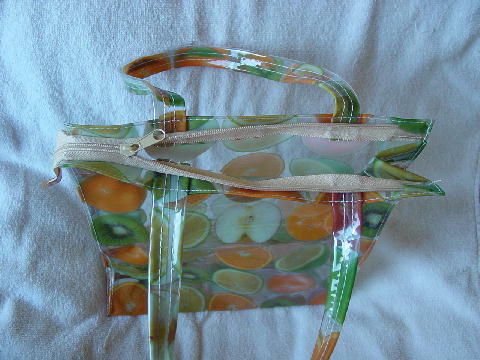 There is a top side to side light peach colored zipper closure. It has white stitching on all the seams. It's nicely made with great detailing on the fruit. Eden picked it up at a vintage boutique in Australia.